Welcome to this month’s block for the Cozy Afternoon block of the month which features another cute cup of “something” (coffee for me). I enjoyed the piecing process of this block. It’s a lot simpler than it looks. One thing to check as you are making this block is the size of the corner units. They should measure about 5″ from the point to the long side. This unit is slightly over-sized, so I trimmed the long side a bit to make it straight. After making the half square triangle units, I forgot to trim them down to 5 1/4″ square before attaching them. So when I stitched them onto the center square, I needed to trim it down. This worked out fine (maybe even better). The size of the block at this point should be 9″ unfinished. Jacquelynne states in her pattern that the completed block will most likely be bigger than 12 1/2″ square. That was true for mine, and so I trimmed it evenly on all four sides, making sure that I left 1/4″ seam allowance at the points. This is very rare for me, but I pieced the block BEFORE I completed the stitching on the applique. I wanted to show you the finished block, but I knew I wouldn’t have time to finish the applique first. There can be a little bit of shrinkage because of the stitching, but I think for a block this small, it will be minimal. I’m keeping my fingers crossed. If you are using machine appliqué for the center of your block, you can refer to my previous tutorials on appliqué for some helpful tips: Applique Part 1, Applique Part 2 and Applique Part 3. The giveaway for this month includes an adorable quilt pattern and a bag pattern courtesy of Jacquelynne Steves. To enter, all you have to do is leave a comment here. I’ll pick a winner on August 16. The giveaway is now closed. If you visit the other participating bloggers and leave a comment, you’ll have more chances to win. We are EACH giving away the same prize package. Plus it’s always nice to see how their blocks are turning out! Thanks for visiting today. I hope your week is startin’ off right! Your blocks are so beautiful together! Love the colors. And, I really adore your green gingham mug!! signed up for this beautiful BOM only two weeks ago and I am loving the interaction with other stitchers. I chose the embroidery option with my own little twist. Have completed two blocks (photo on my blog and Pinterest board). Can’t wait to get to Block 4 – it looks great here. Thank you for your helpful tips for completing this block. WOW! I love the way your quilt is coming along and the colors are wonderful. They have a very antique, Victorian look/feel to them. Hope you share what the completed quilt looks like. I love seeing the blocks come together for this quilt. Your fabric choices and your work are great. Finally I managed to visit a blog, not being a great lover of the Internet other than sewing sites. Your blocks look really great and the tips for sewing no. 4 will be really helpful. Love your blocks. I have saved the patterns for use later. I’m just finishing up a Ricky Tims’ kook kaleidoscope wall hanging. Hope to sew up these blocks for a table topper as a present for a friend who is moving. That is just so lovely. I am enjoying the trip around the blogs to see all the quilts! Your blocks are going together so beautifully!! Thank you for sharing. Julie, sou uma iniciante na costura e estou adorando aprender com vocês… é de muito bom gosto os tecidos. Realmente lindos!Abraço! I love the block. It is so pretty and looks great with the previous BOM. Thanks for all of your hard work, your directions are spot on. Great version of the BOM ! Yours are so pretty! Love these blocks! They are all turning out so darn cute. Thanks so much for doing the giveaway too! Beautiful! I’m saving my pattern each month to do over the winter. It’s just too stinkin hot to sew here right now, lol! How delightful your color palette is! I love how they look all together! Thanks for taking the time to give us such instructional photos. What a great teacher! Great colors! And thank you for your helpful hints. Love, love , love it Thank you! What an adorable block of the month. Love your hints and full explanation of assembly and any little usual problems that you encounter. Julie, thanks for the extra tips for making the block. I love your color combination. These are such lovely blocks. I am going to love this quilt when it is done! Beautiful colors and beautiful designs. Found it! I wasn’t checking the correct email. I must be “losing it” ! I can’t find where to click in the first email to get this block. It is so cute, and I love your color choices. I love the colors you chose and especially love the way your explained about trimming the blocks. I love your block. These blocks are so fun! Thanks for all the tips and the chance to win. I love your colors and how these blocks are coming together! By the way, congratulations on the new gramdbaby!! I love the blocks you made – the colors are pretty! It’s fun to see everyone’s blocks. thanks for sharing. I love these blocks! Thanks for doing them. Can’t wait to make them! Your block is very beautiful! Your blocks all look perfect. I’m loving the bird and mug applique; very sweet. wonderful color choices. This will make such a nice quilt. Your color choices are so pretty! Your blocks look so beautiful together. Yes, I like that there is a coffee mug in this BOM. I like tea but am much more of a coffee person. Beautiful color choices! Thanks so much for sharing! thank you for your tutorial, very helpful. Your blocks look great! I love the cozy afternoon quilt along! 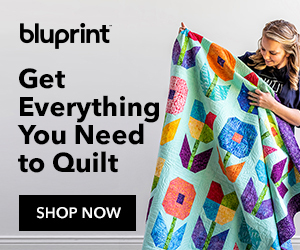 I really love your Mad About You quilt pattern! Your Blocks are so nice and they make me happy. Great colours. This block is lovely!! I need to get busy!! Thank you! Really like your color choices. Thank you for al the helpful hints you share. I’m glad you had so much fun visiting your family in Austin. Hope you can come back when it’s not so hot! Such a lovely block. Your colors are so cheerful. Love the orange! Thanks for the giveaway. I’ve been a quilter for a looooong time and this is one of the cutest and freshest quilts I’ve ever seen. I enjoy your blogs and instructions. They are so clear and helpful. Thanks for the give-away. I love the fact there is a choice to applique, embroider, or piece the block. Mix and match! Whatever your mood is that day. Such pretty colors in your blocks. This will be a happy quilt. Beautiful colors. Love the applique. Lovely blocks! I have always loved that green fabric in block 4. Very cool, I love seeing the different color schemes on the blocks all have made. Your block is so happy, can’t wait to see the quilt finished.. This is one of my favorited part about the BOM, meeting new bloggers! Greetings from a fellow grandma. Enjoy seeing your BOM in the rich fall colors and appreciate the opportunity for the drawing. Thanks so much for sharing your talents! Love the colors and good tips! Thanks for this great opportunity! Thanks for the great project. Also loved your BOM that you did for the Quilt Show too. I love your first four blocks! The colors are great. I love looking at other’s projects because invariably the colors are not the ones I’d choose but I love them when someone else has put them together. Looks like you are well on your way on the “cup of something” blocks. Thanks for the giveaway. And congratulation on the beautiful new granddaughter! Love your blocks and the colors that you’ve used. Thanks for the chance to win a great prize. Your blocks are lovely. thanks for the tips on trimming. Very much appreciated. I love your colors and enjoy your blog with all of your helpful hints. Cute, cute, cute. I love the colors you have chosen for this. Your tips are so helpful to a person just learning how to applique (and quilt). Many of your projects are on my “wish” list to complete. I wish I had the time to make all of these blocks….well, I wish I had the time to start just ONE of these blocks! I really appreciate the opportunity for the giveaway and look forward to future posts! Love this block. Thanks for the giveaway. This is a cute block! Yours are looking great together! these quilt blocks are so fun. thanks for the giveaway. Your blocks are lovely and I appreciate all the helpful hints! I like the fabrics & colors you have chosen and how you have used athem in the blocks so far.